When it gets cold outside, I want exactly one thing: hearty, filling soup. With lots of protein, so I don't just feel hungry again two hours after eating. And with plenty of veggies, because if I'm making a big pot of soup, I'm not about to make so much as a side salad. Oh, and I don't want to spend more than an hour in front of the stove. This soup delivers on all counts. I made one modification, right off the bat, because I'm just not a big chicken sausage fan: I substituted a pound of Italian sausage, half sweet, half spicy. I got that nice and brown in the pot first, then set aside on my cutting board. That made it easy to skip the bacon grease in favor of the sausage grease already in the pot; I just added a bit of olive oil to cook the aromatics. I followed the rest of the recipe as is, but that's really just dumping a few things into the pot. I added the sausage back to the soup about halfway through the 15-minute simmer, so its flavor could ~infuse~ the rest of the soup. Eggs are a tricky thing. Everyone cooks them but few people cook them really well. In an effort to truly become a master at cooking eggs, I've recently been experimenting with different egg recipes. When it came to scrambled eggs, I decided to try Gordon Ramsay's much-loved method. It's the subject of a viral video on YouTube and has even been selected as the best scrambled eggs recipe by my coworker Jesse. I LOVE eggplant and I'm always looking for new ways to make it. And while eggplant parmesan is one of my favorite meals to order at a restaurant, it always feels a little bit too intensive to make at home. 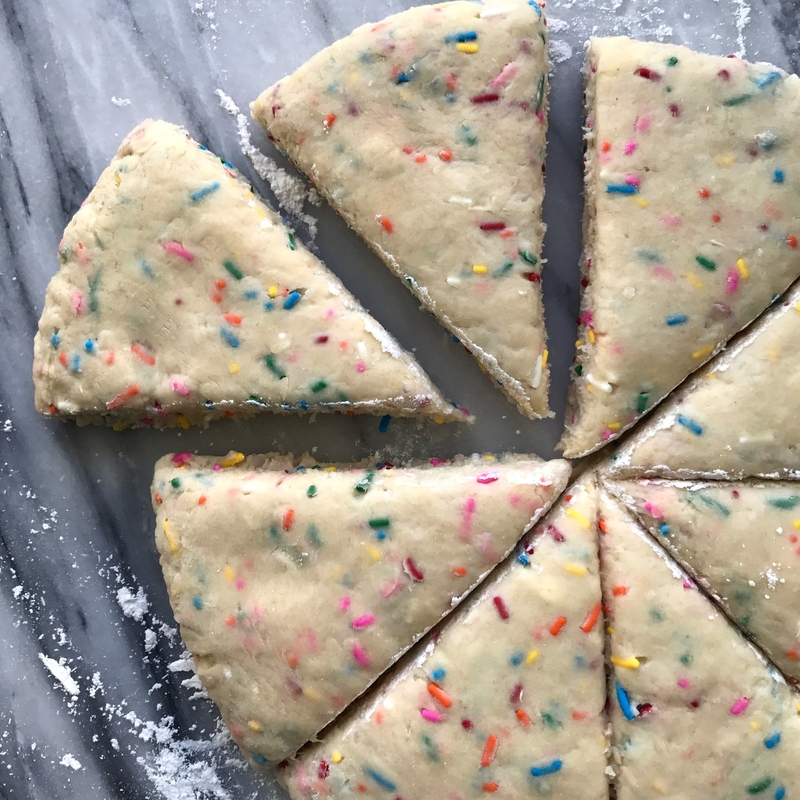 A few years ago, several people at BuzzFeed, including me, helped our coworker Lindsay Hunt develop the perfect chocolate chip cookie recipe. 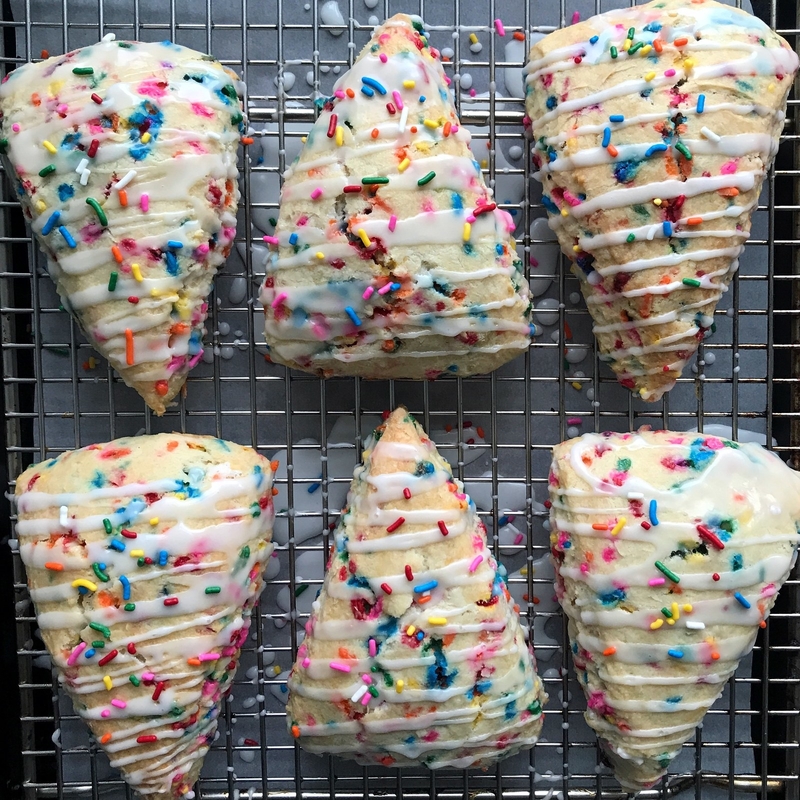 We did preliminary taste tests, we took her recipes home and baked them ourselves, and we got to taste the final results. 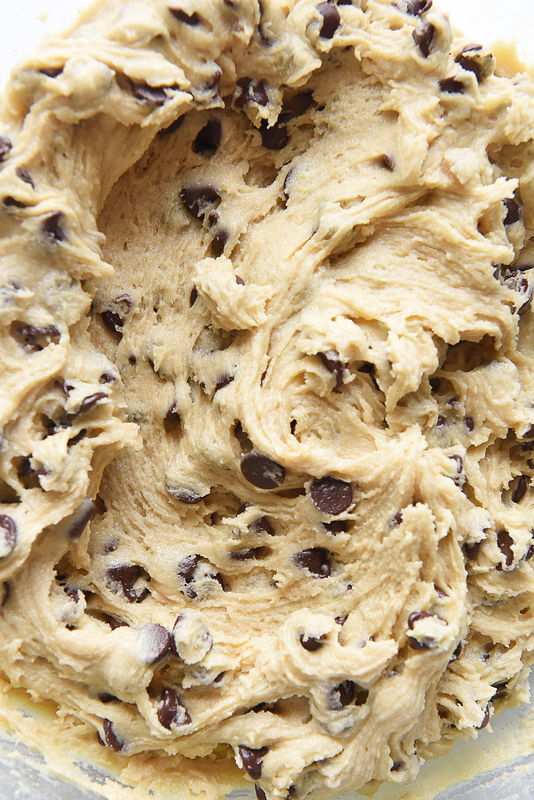 And we still talk about her glorious Ultimate Chocolate Chip Cookie recipe. I found this Thai chicken salad with peanut sauce on one of my favorite cooking blogs, Gimme Some Oven. After Thanksgiving, I was craving a healthyish salad recipe that still feels sort of indulgent...and this definitely hit the spot. To be honest, I don't love apple pie. 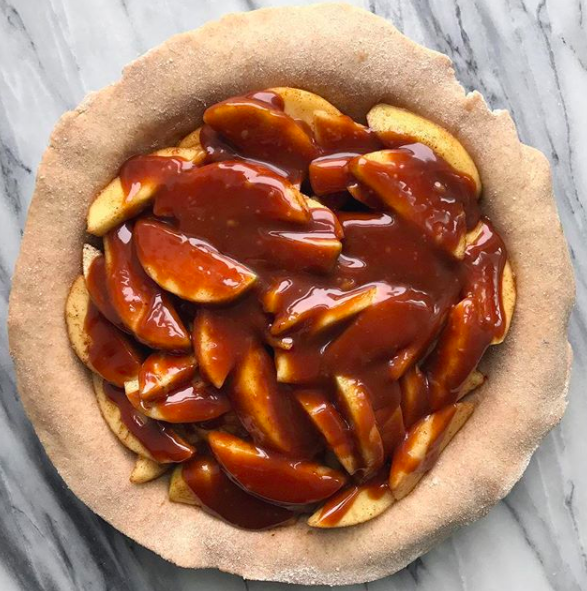 They're a ton of effort to make and usually taste underwhelming — but this salted caramel apple pie changed my attitude. 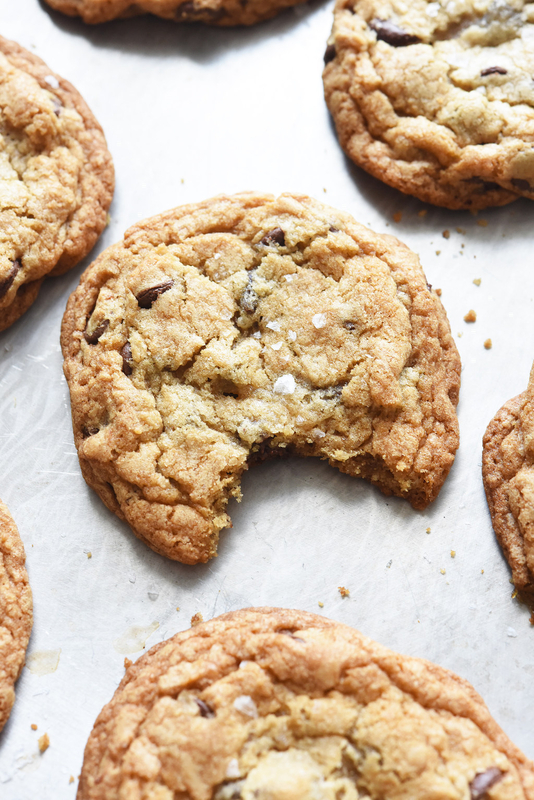 It's salty, sweet, and has a delightfully chewy caramel texture. 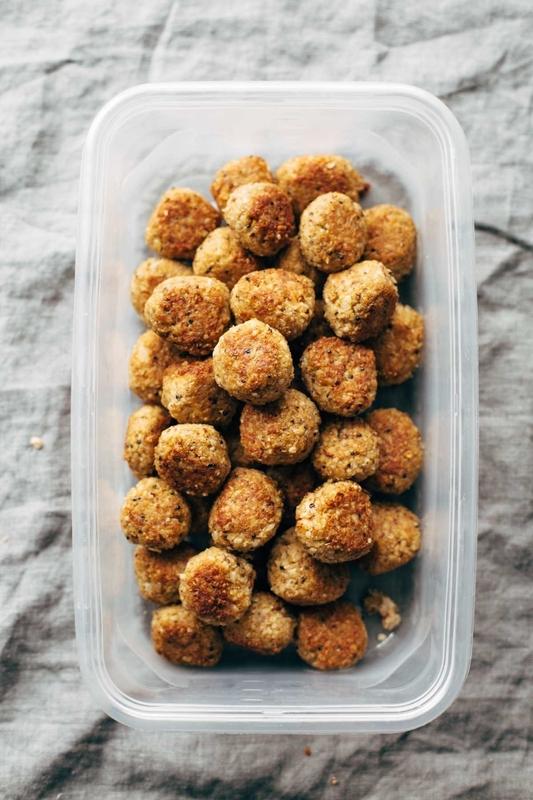 This recipe makes about 50 meatballs, so it's a great thing to make on a Sunday night to prep for your meals throughout the week (or put in the freezer for whenever). The main ingredients of the meatball are cauliflower, quinoa, and brown rice, so you get a good serving of both veggies and protein. I've made this recipe twice, and the second time, I actually forgot to cook the cauliflower first like the recipe said. 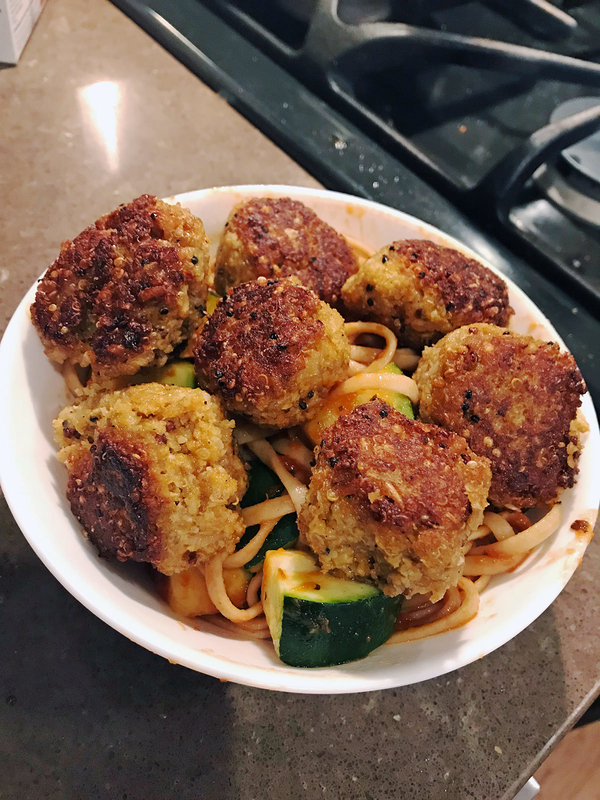 I just put the raw cauliflower in the food processor with the cooked quinoa and brown rice, and the meatballs actually stayed together even better that way! I would also suggest adding more bread crumbs than the recipe says because it helps them stay together better in the pan. 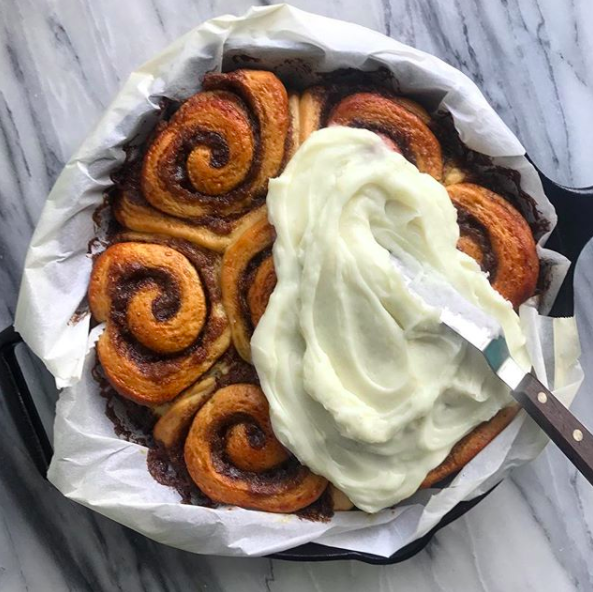 This year, I was invited to spend Thanksgiving in my American husband's family (I'm French) and was asked to make a dessert. I decided to make a pumpkin pie, which I discovered in the US and really love. 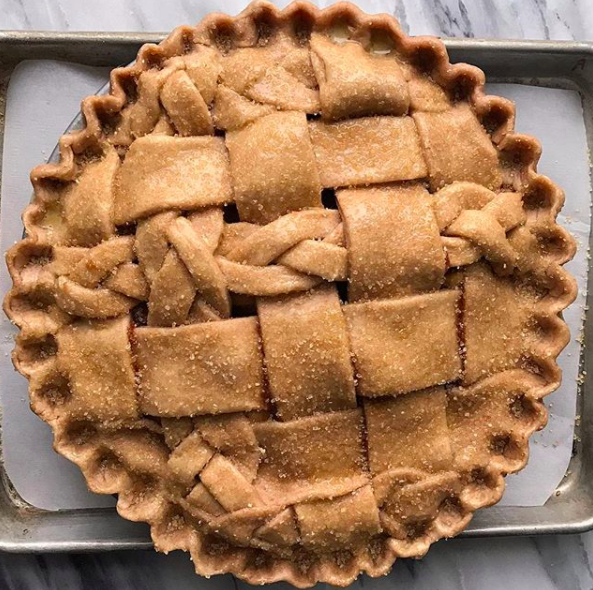 When I found this recipe, I was very excited for the opportunity to make a typical American fall pie with a French touch (the brûlée top) and celebrate our French-American family. The dough for the crust seemed a little time-consuming, so I cheated and used a store-bought crust instead (I'm not a big fan of chocolate crusts anyway). I recently bought a skillet and have been making everything in it — chicken, bread, pasta, you name it! 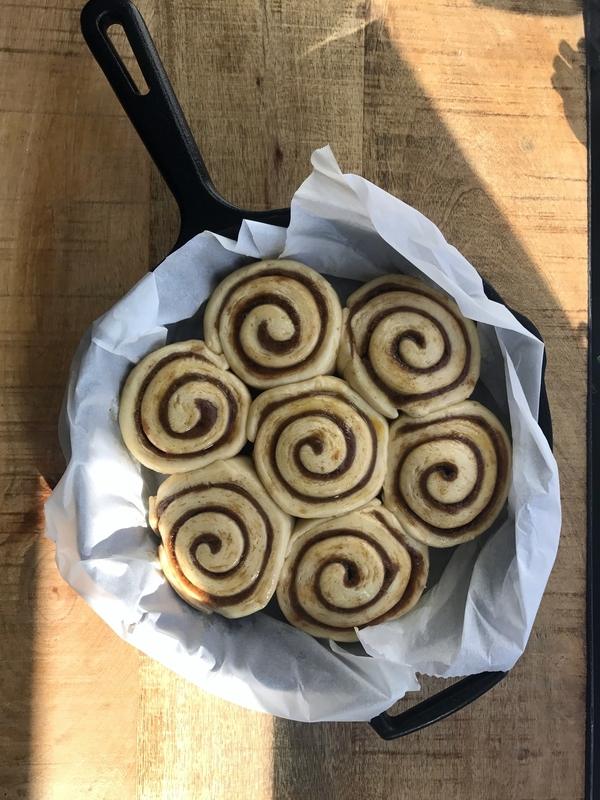 One particularly cold weekend, I decided to use it to bake cinnamon rolls. Find all of our past favorite monthly recipes here.